Palms grown outdoors or indoors can give a tropical feel to a house. There are a lot of palms that will thrive outside. The information on palm care is provided in two subsections: indoors and outdoors. Bonsai trees have become extremely popular in recent years both indoors and outdoors. They make excellent gifts because they are different and say something about you. 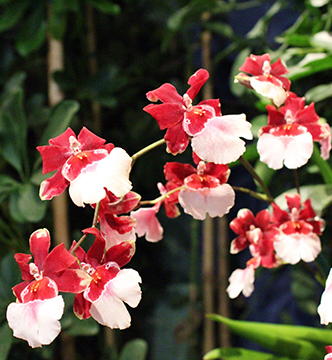 Here, we provide advice for the various types of orchids such as Phalaenopsis, Oncidiums, Dendrobiums and Cymbidiums. Air plants or Tillandsias require warmth, air, water and light. These plants are robust and require less attention than other houseplants, but because they grow differently they need some special care. Houseplants brighten a room and they bring real health benefits. Recent studies have indicated that in the presence of plants people recover from illnesses quicker. The care for houseplants can vary from species to species but there are a few easy guidelines to follow for indoor houseplant care. There are a huge variety of cacti and succulents, some with amazing flowers. They are ideal for sunny windowsills and are very easy to look after. Both cacti and succulents have modified leaves and stems that store water and nutrients, which allows them to survive periods of harsh conditions. It is possible to grow olive trees in Britain, especially in urban, coastal or southern areas. They are great as ornamental trees and they will often produce a few olives. Please be aware that you cannot eat the olives off the tree. Here are a few tips from Dr Manos, based on his experience of growing olives commercially in Greece. Phalaenopsis need repotting every 12-18 months. It is crucial to use an appropriate growing medium and a pot with adequate drainage and aeration. 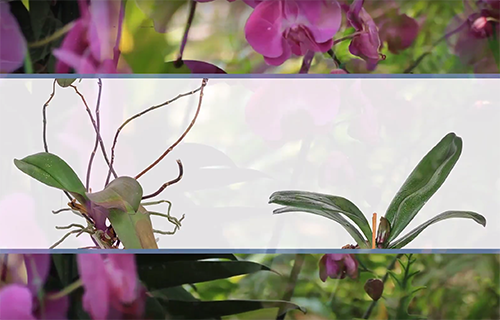 Our video shows you all you need to know for a routine repotting of a Phalaenopsis. Indoor bonsai are best repotted in the spring every two years. Top pruning can be carried out after repotting. 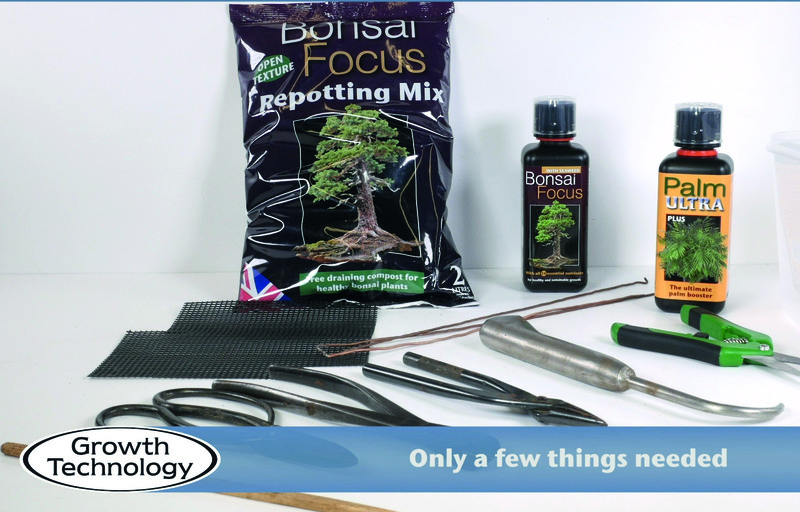 As well as a good quality repotting mix such as Bonsai Focus Repotting Mix, you will need a pair of pruning scissors, a hook, mesh, wire and a container of the appropriate size to accommodate two year’s growth. Phalaenopsis need repotting every 12-18 months. If left for longer they will develop a long stem which needs to be removed when repotting. 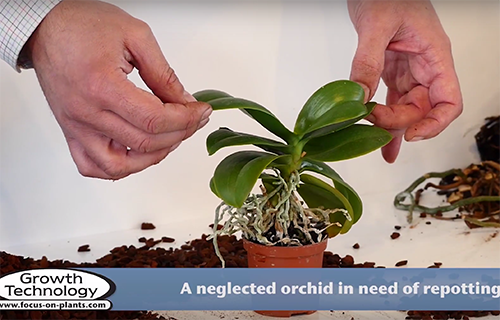 Our video gives a guide to restoring a neglected Phalaenopsis. You can grow a Vanda orchid in a vase or bare rooted in a pot, but the easiest way is to grow it in bark. The best time to repot is in the spring after the plant has flowered when the roots are actively growing. Always choose a pot of an appropriate size with lots of drainage holes. Cymbidium orchids are magnificent and need lower temperatures and bright conditions. Repot every two years in the Spring after the plant has flowered. We recommend using a suitable Cymbidium pot with adequate drainage and aeration for repotting. Phalaenopsis need repotting every 12-18 months. If left they will develop a long stem and other potential problems. 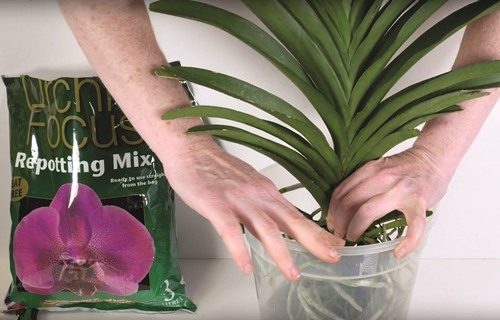 It is crucial to use an appropriate growing medium such as Orchid Focus Repotting mix and a pot with adequate drainage and aeration. If a pot has a dome it is made specifically for orchids. Coir holds too much water. The best time to repot the plant is after it has flowered. There are a few things that you will require: Orchid Myst, Orchid Focus Repotting mix , an Orchid pot (select the most suitable size) and pruning scissors. Outdoor deciduous bonsai are best repotted every two years or so, in the spring as the buds just emerge from dormancy. Evergreen trees are best repotted a little later from the end of March through to the end of April depending on the weather. 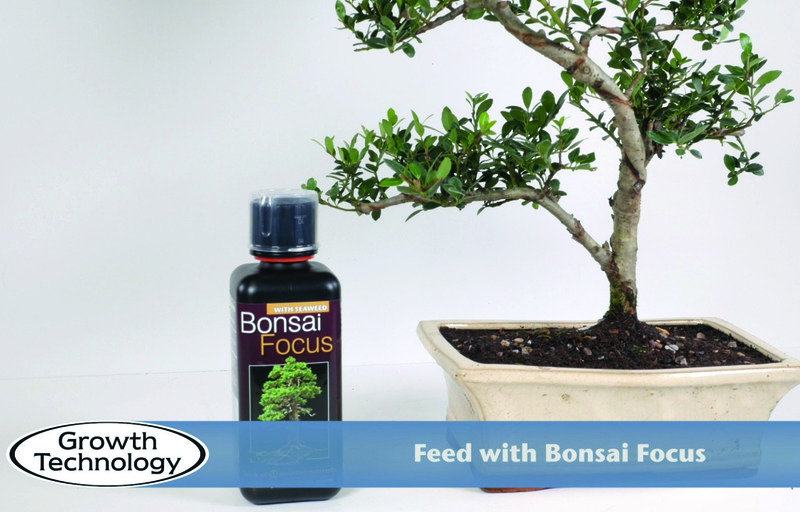 As well as Bonsai Focus Repotting Mix, you will need some horticultural grit, a pair of pruning scissors and a container of the appropriate size to accommodate two years’ growth. We manufacture the highest quality fertilisers available anywhere. 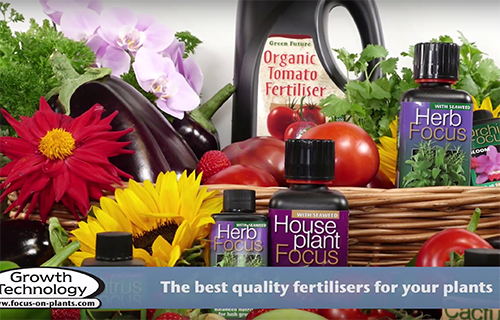 We use the purest, most soluble mineral salts, We do not use urea in any of our fertilisers, and they contain all the 14 essential nutrients for healthy, vigorous growth. 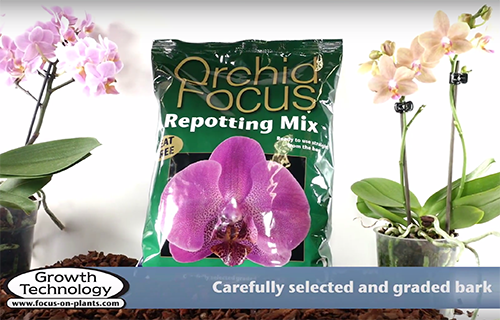 When you repot an orchid it is crucial you use a bark repotting mix such as Orchid Focus Repotting Mix and a clear pot designed for orchids. Never use soil, peat-based compost, bark-based compost or any compost. If a cleat pot has a dome if offers more aeration and it is designed for orchids. A series of guides on plant care for some of the most popular plants. From houseplants and orchids to chillies, tomatoes, peppers and much more. 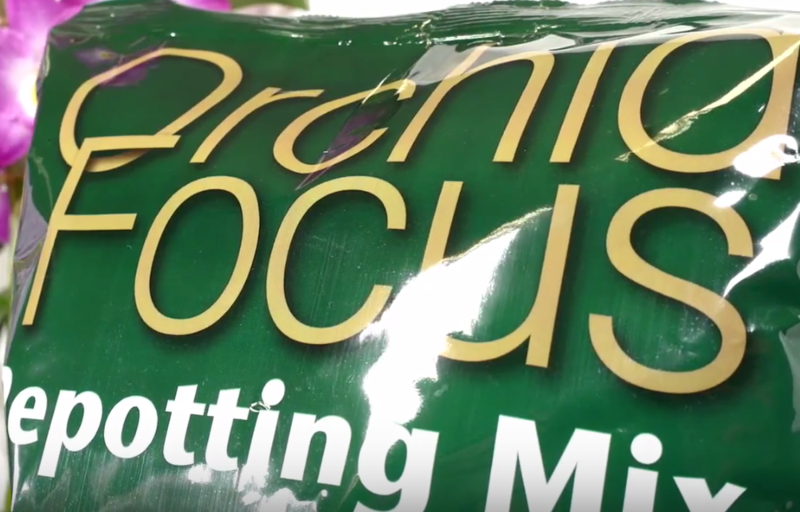 Horticultural specialists, as well as Growth Technology’s own experts, provide their tips for healthy plants and bumper crops. Why not come along to an Orchid Day and repotting demonstration? They are held at garden centres and nurseries all over the UK. 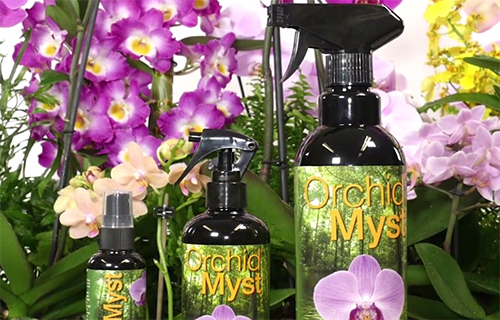 Growth Technology has teamed up with orchid experts across the country to give orchid enthusiasts complimentary advice on caring for them. Click here to find out more about the events, the speakers and to find an orchid day near you.